1. Spend some time in the shade – taking advantage of nearby trees, foliage or parasols can often be the best way to avoid harmful UV rays. Keeping covered up with clothing also helps to protect your skin. 2. 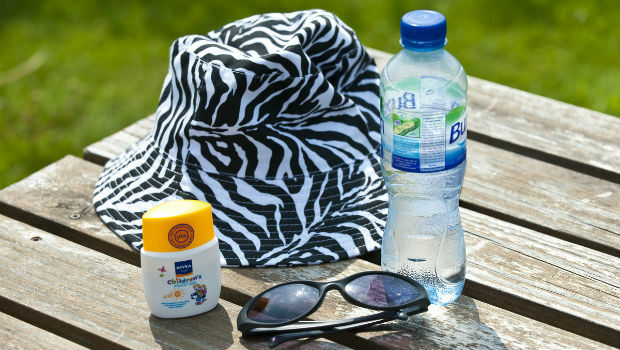 Wear sunscreen – if you can’t avoid exposure to the sun, sunscreen is an essential way to protect against UV rays; NHS Fife would recommend using sunscreens with an SPF of at least 15-30. 3. Wear sunglasses and hats – hats are fantastic for providing protection around the face, head and eyes, whilst sunglasses are also a good way to protect eyes against potentially dangerous UV rays. NHS Fife would recommend glasses that state they offer 100% UV protection.